Kazakhstan is a country located in Asia. Kazakhstan's capital is Astana and the currency is the Tenge. 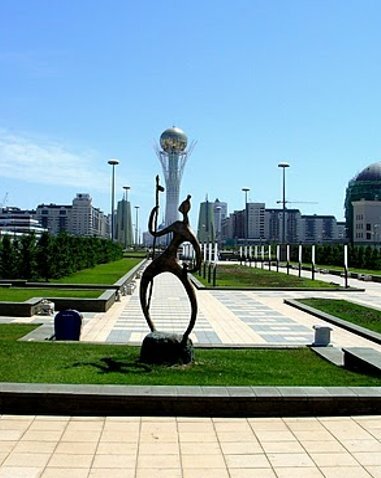 Astana is the capital of Kazakstan with a very modern and developed business district. After our Gobi Desert adventure in Mongolia we decided to cross the border with Kazakhstan and extend our road trip in direction of Astana. 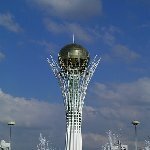 One of the most famous constructions in Astana would be the Bayterek Monument which looks like the World Cup Soccer trophy but than in a large enormous version of it.